There are now several Montessori schools across Helsinki that accommodate students from as young as a few months to up to 16 years old. These growing schools are becoming an increasingly popular option for the children of ex-pats in Helsinki as well as locals, due both to the innovative teaching methods and the fact that the language of instruction is typically in English. 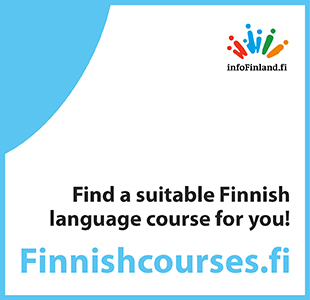 Fees for Montessori schools in Finland range from a €300-1200 a month, depending on subsidies. We spoke to Eugenia Soland, founder and director of the Montessori Infant Community, one of the largest schools of its type in the city, to find out more. The school was founded back in 2012 as a Montessori playgroup for toddlers and has since ballooned to accommodate 8 members of staff and 42 full-time students, aged between one and six years old. Soland is, naturally, a lifelong proponent of the Montessori method, and is actively engaged in training other teachers to implement this style of learning. She claims that her school, which specializes in tailored learning environments designed to “satisfy [the child’s] natural curiosity and build a sense of confidence” is completely “unique in Finland”, being the only one to offer Montessori education for toddlers in English. The classrooms focus on “complex sensory and intellectual experiences” with a jam-packed program featuring gymnastics, music lessons, vocal play, dance and the teaching of “emotional skills”. Students are encouraged to explore and are generally free to move around the classroom as they wish. The Montessori Infant Community currently is enjoying a wave of popularity, so much so that they are now considering opening a second “children’s house” to accommodate the growing numbers of students. Soland also says that the school has recently stopped all of their promotional and marketing activities and that most new enrolments come to them “through word of mouth”. The growing popularity of such schools will seem unsurprising to those who are already aware of the studies undertaken on Montessori pupils, which show that they consistently outrank their peers across all subjects, from math to music. Much of the popularity of the Infant Community has been fueled by ex-pat families, with Soland describing a strong international element in the classroom. However, they currently do not have any plans to expand further, as the value they place on “personal connections with the families” and an emphasis on making the school feel “cozy and home-like” requires small classrooms, run by a small number of teachers. On being asked about the philosophy and motivations of the Montessori Infant Community, Eugenia replied “we firmly believe education should serve children socially, emotionally and intellectually. Education has a deep capacity to influence social change and the power to bring peace and prosperity to future generations”. Applications accepted throughout the entire year.